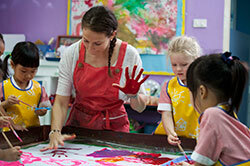 The Early Years School caters for children aged 2 – 6 years of age. We operate both the British Foundation Stage Curriculum for children aged 2 – 5 years old and the new English National Curriculum for children aged 5 – 6 years old. 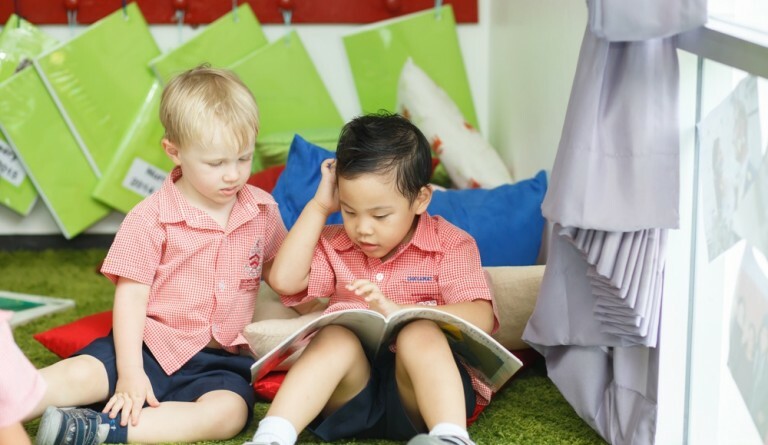 In Year 2, children move to the Windsor Park campus so they can take advantage of the extensive range of specialist facilities, as they continue their Learning Journey at BIST. We offer a UK based curriculum that fosters a holistic approach to education equipping children with the basic experiences needed to go forward in life both inside and outside of school. The medium of instruction is English. In addition, we offer Thai lessons to all children, allowing children to learn about the local culture and language. Learning is both teacher and child led. Children aged 2 – 5 years old follow the English Foundation Stage Curriculum. At BIST, we ensure that this curriculum is personalised to the needs of every child and allows them to learn and develop in a supportive, caring environment. English language acquisition is key to children’s success in all areas of the curriculum. This means that stories, music and conversation play an important role in all lessons. We also understand the importance of physical development and so all children have specialist sports provision; from Nursery onwards the children have swimming lessons in our school pool. To ensure that children are alert and able to make use of our excellent facilities, Pre-Nursery and Nursery children have the option of a rest/sleep after lunch. Mattresses and pillows are provided. Our energy, drive and expertise make us a leading Early Years School, providing children with a hands on learning experience that will equip them with skills for life.